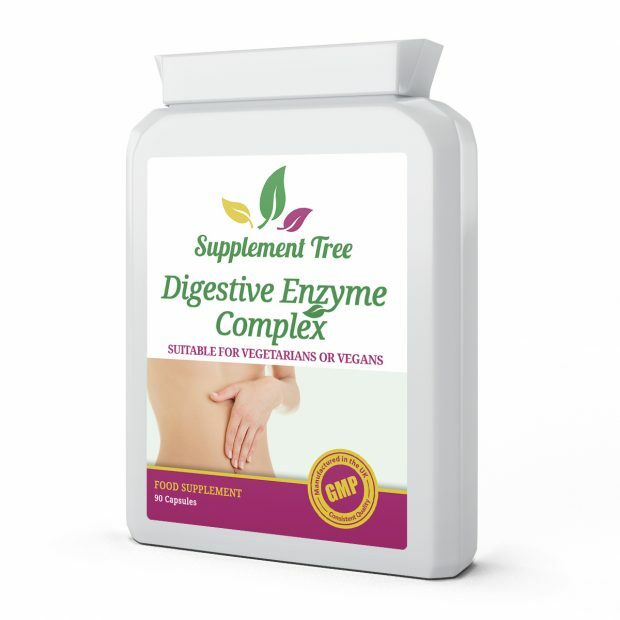 Digestive Enzymes Complex provides a broad spectrum range of plant derived digestive enzymes to help maintain digestive function & the intestinal system. 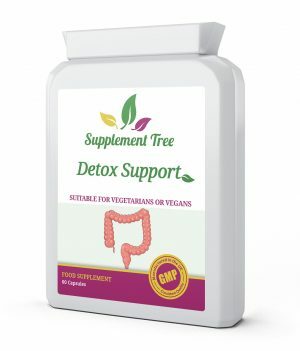 This latest formula now contains culinary herbs well known in their food digestion actions, while Ginger and Peppermint help to soothe the gut lining. With all of these internal and external factors sometimes your gut may need a little help to support it in the work that it has to do. Digestive Enzymes Complex provides a targeted range of digestive enzymes to support digestive process and to help maintain healthy digestive function. 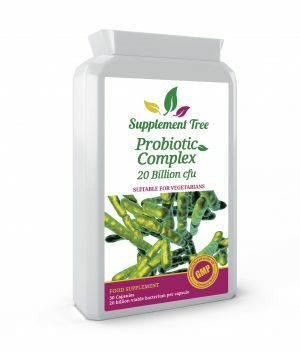 Supplement Tree Digestive Enzymes Complex Capsules are manufactured in the UK to GMP code of practice. Only the finest quality raw materials in their highest and purest form are used. 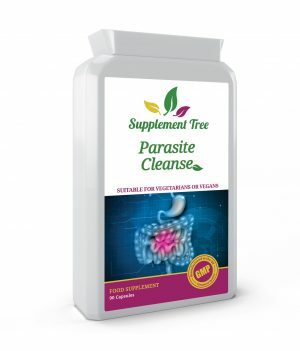 Take 1 – 3 digestive enzyme capsules before each main meal. 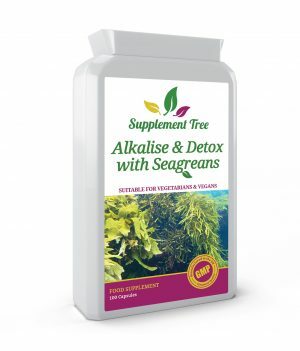 If taken alone, start off on a higher dosage of 2 to 3 capsules before Breakfast, Lunch & Evening Meal for 3 to 4 weeks. Thereafter, reduce dosage to 1 or 2 caps taken 2 to 3 times per day or as required.